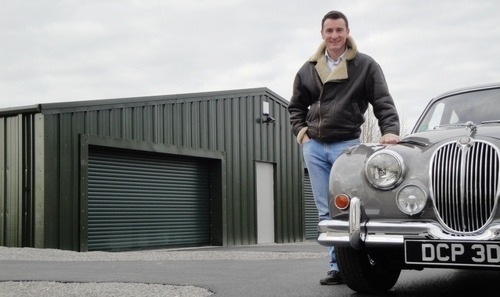 Cumbria Car Storage, based near to Cockermouth, in the Lake District National Park, is a purpose built car storage and care facility for cherished and valuable motor cars. Our mission is to provide the highest quality of storage, where your car is not only kept safe in a fully protected environment, but is maintained spotlessly clean and ready to drive at all times. We have a fully equipped workshop and the professional expertise to perform any service, maintenance or repair work. See the latest restoration video below! Our low volume, fully insulated buildings were designed and built for the sole purpose of storing cars. They are dust sealed, heated and dehumidified using top of the range humidity control technology. We have limited our storage to about 50 cars so that every car receives both sufficient space and the required care and attention it deserves. The storage is situated in a discreet location with the owners living on site and for added peace of mind is fully protected by advanced security systems.